I kept hearing that the chicken here was really good, and I’ll have to agree. The fried chicken was crispy, juicy, and very flavorful. With a little bit of hot sauce splashed on, I couldn’t eaten a few additional pieces, hehe! 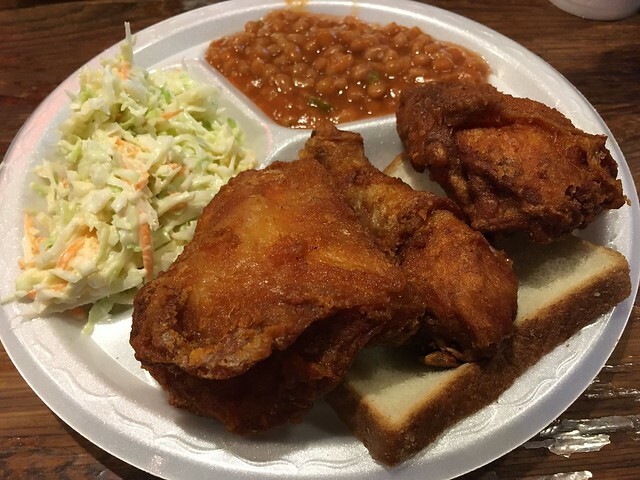 This entry was posted in Gus's World Famous Fried Chicken and tagged bakedbeans, chicken, coleslaw, food, friedchicken by vicentesf. Bookmark the permalink.